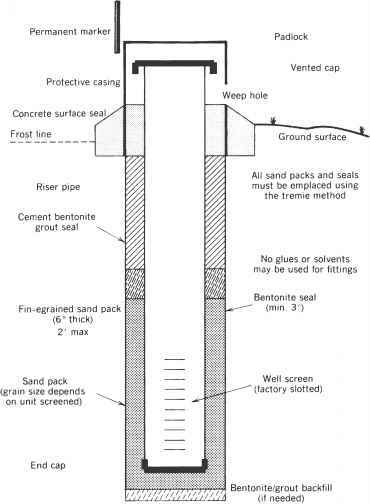 One registered complaint from the Powder River Basin in Wyoming cited increased erosion from unmanaged CBM produced water discharge (see Figure 5.6). A sustained period of CBM produced water entering the headwaters of a seasonally ephemeral channel resulted in substantial channel scouring, bank erosion, and head cutting, with the eroded channel migrating progressively upgradient. In this particular case, the water entering the channel was the result of overflow discharges from an upslope-produced water impoundment. Through litigation the CBM operator responsible for the overflow and subsequent produced water management was ordered to bring impoundment overflows into control and to discontinue discharge to the ephemeral channel. In another documented case in Wyoming, a private citizen's complaint was filed against the state and a private CBM operator over CBM water discharges that were permitted and regulated. The private landowner charged that CBM waters released into ephemeral channels upstream from his property were altering portions of the land and preventing irrigation of hay meadows.19 The state and the CBM operator were charged with violating the Clean Water Act and the Wyoming Environmental Quality Act. 18J. Harju, Wyoming SEO, personal communication, April 2009. 19See billingsgazette.com/news/state-and-regional/wyoming/article_5906e25d-058e-56fc-8b49-17ee4b5e012e.html (accessed April 29, 2010). 20See billingsgazette.com/news/state-and-regional/wyoming/article_lb83a02c-c303-504c-8365-068c5952a02d.html (accessed May 27, 2010). 2lSee billingsgazette.com/news/state-and-regional/wyoming/article_5f8ece00-2e57-lldf-854d-00lcc4c002e0.html (accessed April 29, 2010). 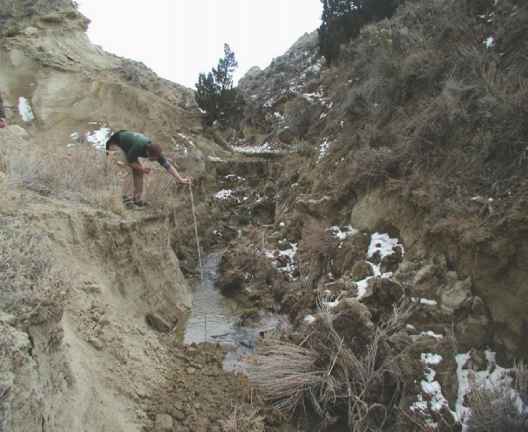 FIGURE 5.6 Stream bank erosion caused by headwater flows in ephemeral drainage of Barber Creek, Wyoming; water sourced from upgradient CBM storage impoundment releases, Powder River Basin. SOURCE: Used with permission from Gregory Wilkerson, Southern Illinois University Carbondale. Wyoming ruled that the permit, which had been issued using rules since criticized by the EPA and state consultants, was no longer valid.